For the sheer versatility and value they provide, speed ropes are surprisingly underrated in most training communities. 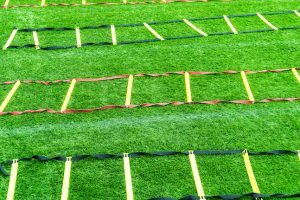 They’re the perfect piece of equipment for a range of physical conditioning outcomes. 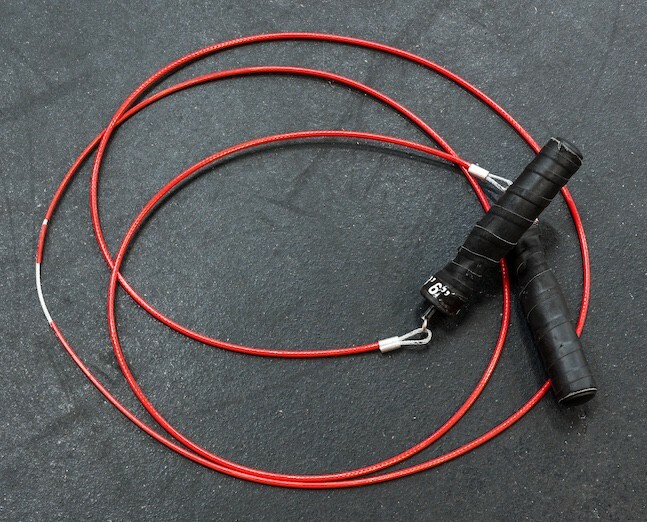 Whether you want to build muscle, lose weight or increase your endurance, a speed rope will help you reach your goals with a unique quickness. Through extended use, speed ropes can improve your timing, balance and coordination – three qualities no athlete can succeed without. 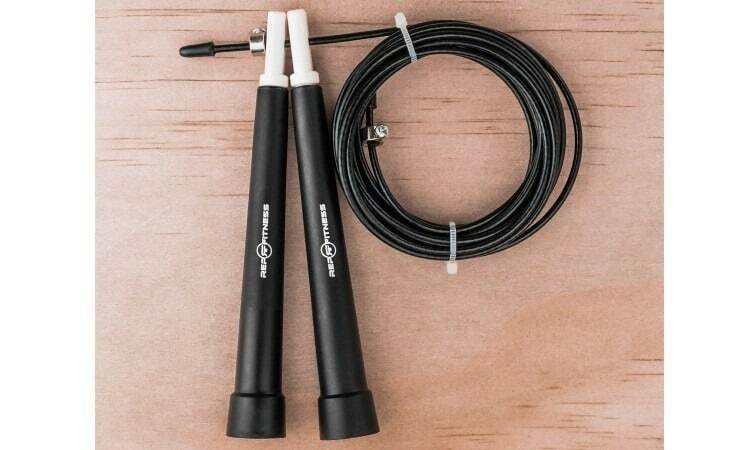 And, contrary to what most people think, there’s a lot more to jumping rope than simply hopping on two feet and swinging your arms. Modern speed ropes are also much more advanced than those wood and string combos you had in high school. They’re designed to be light, fast, smooth and durable enough to last you a lifetime. Innovative features such as ball bearing swivels or bushings, and aluminum cables allow modern speed ropes to seamlessly cut through the air, making every swing an effortless motion. Bodybuilders and sprinters alike will find speed ropes highly beneficial to their workout routine. 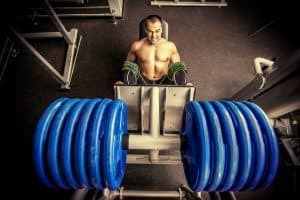 There are few other pieces of exercise equipment out there that can be as metabolically demanding on the entire body while having virtually zero risk of injury. There are a heap of different speed ropes currently on the market, and it can be a challenge deciding which is the best option for you. But, we’re here to help. In this article we’ll take a look at the 6 best speed ropes available at the moment. We’ve also provided some brief info around what makes a great speed rope and how to get started once you’ve found the right rope for you. What Makes a Great Speed Rope? 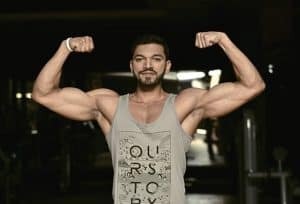 Godly aesthetics and brute strength are all but wasted if not combined with a proficiency for speed, technique and coordination. A jump rope helps you attain these essential attributes by working you both mentally and physically. 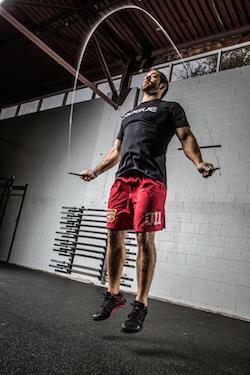 Unlike barbells or sprinting, poor form is immediately halted by a kick of the rope, forcing you to restart. This, combined with a need for consistency, helps you develop your coordination and focus. 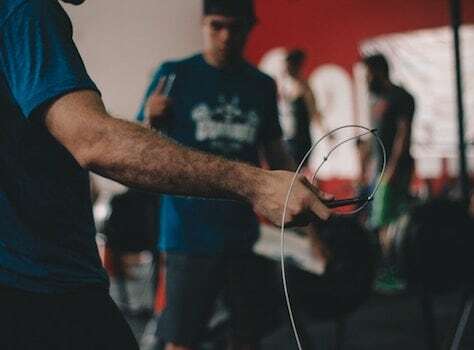 The low-impact nature of more simple jump rope exercises means there’s less strain on your joints while still providing either a smooth or explosive workout. Once you get into more advanced exercises such as crossovers and double unders, your mental strength and proficiency for technique will be pushed even further. Mastering these exercises will put you and your newfound abilities a step above the rest, bringing you closer to peak athleticism. Sounds enticing, doesn’t it? Well, what are you waiting for?…Here are the best speed ropes on the market right now. The second iteration of Rogue’s handcrafted speed rope introduces a modern ball bearing swivel design for smoother, more fluid movements. Aircraft-grade aluminum is the build material of choice. Not only do you get a more premium look and feel, but also improved durability and performance. The 120″ speed cable is coated to prevent damage and can be adjusted at the ends. When using the SR-2, you’ll be gripping a pair of sandblasted, knurl-textured, 6.75″ long aluminum handles with laser-cut end caps. Just like most Rogue products, this speed rope is made in the US and ships on the same day if your order before 3PM. 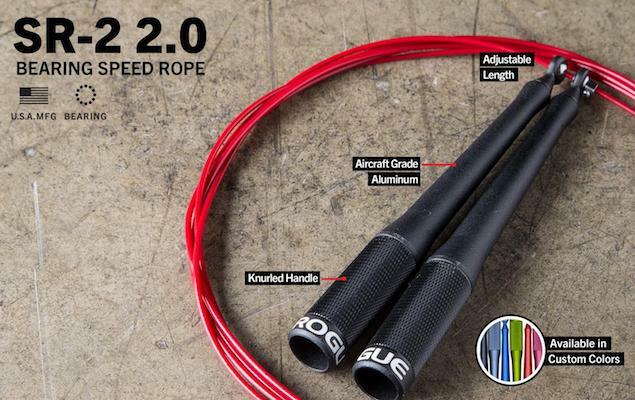 For those with hands on the smaller side, Rogue also have the SR-2s Speed Rope, which has shortened handles. If you’re looking for an affordable and reliable speed rope to get started with, Rep’s offering is a considerable option. The cable is made from a tangle-free material and ships without any curls or deformations. It has large tapered grips and is length adjustable with a simple screw mechanism. Same day shipping, generous bulk discounts and a 30 day money back guarantee all come standard here. The Rep speed rope is ideal for not only basic beginner workouts, but also Crossfit and HIIT style exercises. Value is the main focus of this speed rope and Rep Fitness has done a great job at providing it. This speed rope is available in a couple of variations. A standard rope with 6″ long aluminum handles is available. These are textured and weighted for the best grip. There’s also a version with wooden handles, which is worth looking into. Much like a good set of gymnastic rings, wood handles just feel great in the hands. The wire rope is adjustable up to 10ft with a screw mechanism. The ProSource speed rope has a smooth and quick rotation that makes it suitable for double unders and speed work, along with CrossFit and HIIT exercises. 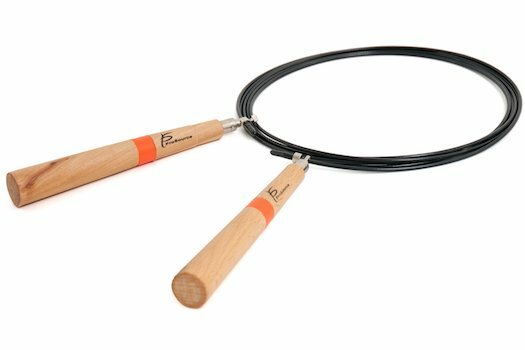 The vinyl coated cable is durable and tangle free thanks to its steel construction and slim diameter. 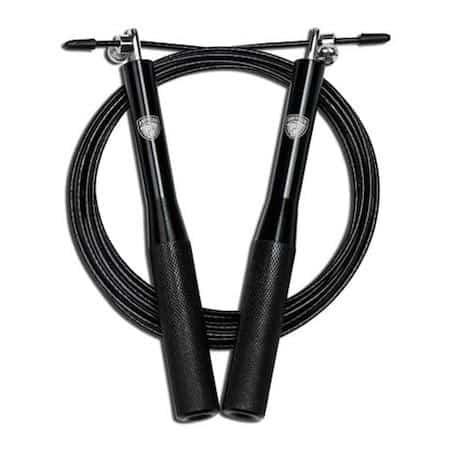 Whether you’re new to jumping rope or an experienced athlete, the ProSource speed rope is a solid option. 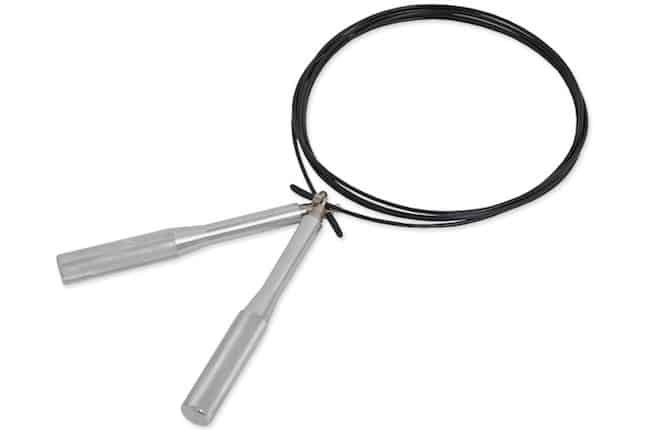 Featuring a premium aluminum construction, the American Barbell speed rope is built to last. The tapered and knurled handles are easy to grip thanks to their textured surface. The coated steel cable is length adjustable to fit any height and the bearings are all made of steel. The slim diameter of the rope helps it cut smoothly through the air without any bending or wobbling. This results in satisfyingly fluid and consistent rope swings – something a traditional jump rope fails to do. A jet black coating gives this speed rope a clean finish while adding some extra durability. 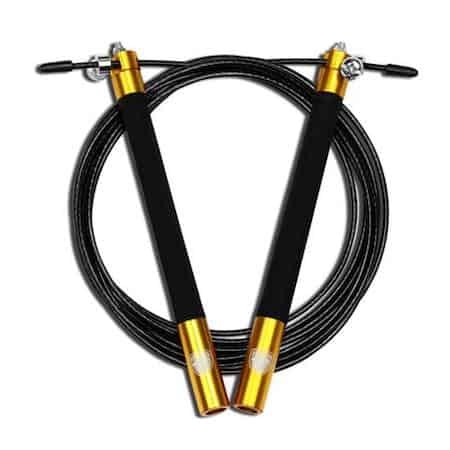 American Barbell also have a gold variation of this speed rope, which has rubber grips on straight handles – so it not only looks awesome but feels great as well. 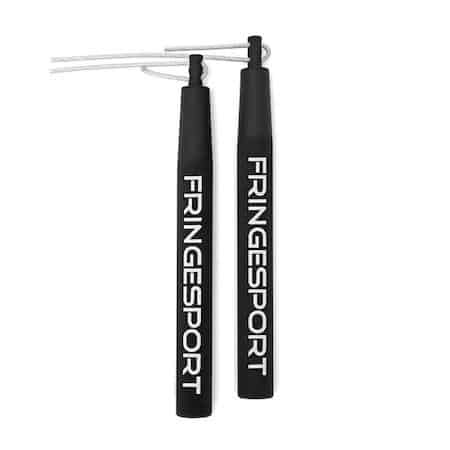 One of the more unique features of the Elite Speed Rope from Fringe Sport are the nylon bearings. They’re self lubricating and help the rope move quickly and consistently. An equipment-free, infinitely adjustable nylon coated cable is attached to the aluminum preened handles. Military-spec anodizing over the three color options gives the Elite Speed Rope a durable and attractive finish. The cable has a maximum length of 9’4″ and the handles measure in at a standard 6″ long. A generous 1 year warranty is also included with every purchase – something almost all other manufacturers fail to offer. This speed rope provides some of the best value on the market. With each purchase you’ll receive not only the rope itself, but also an additional cable, carry bag and replacement hardware. The steel cable is adjustable with a wire cutter and is nylon coated for increased durability. 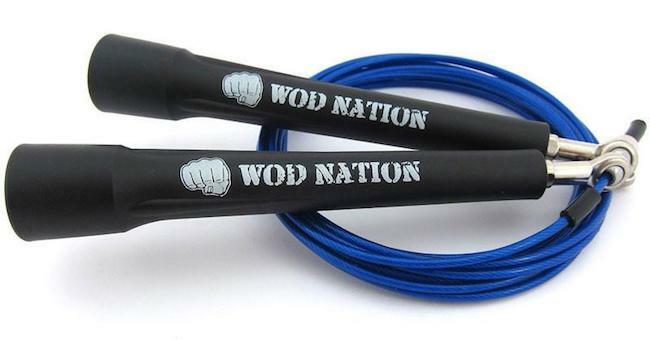 A patented 4 bearing system is what keeps the WOD Nation speed rope spinning. 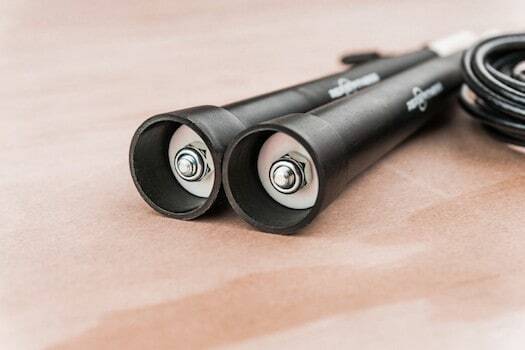 The 6.75″ long, tapered ballistic nylon resin handles are comfortable and grippy. Due to the adjustment process, you’ll have to ensure that you don’t cut the cable too short. Luckily, a spare is included and the cable itself is 11 feet long, allowing you to do some experimenting before settling on a certain length. If you’re still unsure as to which speed rope is ideal for starting off, or you simply want to upgrade to the best, the vast list of options can make it pretty overwhelming. Here are some guidelines that should help you make a more informed decision. Speed ropes are different to standard jump ropes in a couple of ways. As the name would suggest, each component is designed to help the rope cut through the air as quickly as possible. The “rope,” better known as a cable, is almost always made of some form of metal and coated in nylon, vinyl or PVC. It’s also much slimmer in diameter than a normal rope. The handles, which are weighted for a more stable grip, are usually made of aluminum. However, other options such as wood are also considerable and possibly more ideal for some athletes. Another unique feature of speed ropes are the metal bearings. These are small metallic spheres found where the handle connects to the rope. They’re what gives speed ropes their fast, consistent swings. If your speed rope has all of these elements, it all comes down to small details that add or retract from a ropes value. This can include the comfort of the grips, cable length adjustability and the warranty. Once you’ve purchased your favorite rope and have adjusted it to the length that matches your body, it’s time to get started. Begin by finding a spot with sufficient vertical and horizontal space. If you’re not confident enough in your coordination to start off in a gym, a yard or garage will do. Regardless of how tough your rope is, it would be best to avoid particularly rough surfaces. In the same light, ensure that your premises allows skipping on certain surfaces such as wooden basketball courts as there are often rules against this. Start by skipping slowly and finding a consistent rhythm. It may be boring or frustrating at first, but once you learn the basics, you can start performing more intermediate movements. This includes alternating and hopping on one foot. Making constant adjustments to your speed, height and step patterns is encouraged and will keep things interesting. If the above has become all too easy for you, there’s always another level to take things to. Moves such as the crossover and double under take time to master and will test your patience, skill and coordination to the limits. With sufficient time, you’ll master these advanced moves and your overall mental and physical health will reap the benefits. 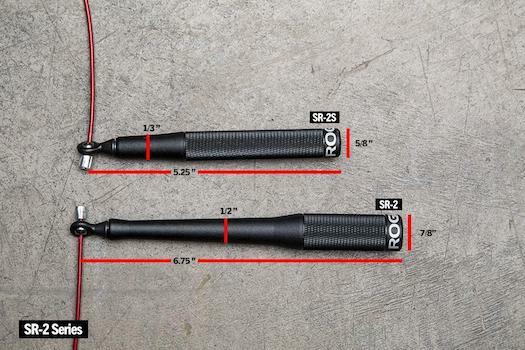 Well, there you have it: The 6 best speed ropes currently available. A speed rope will take some time, effort and patience to learn – and a whole lot more to master. In the end, it will all be worth it. Consistent practise will develop your strength, stamina, timing, coordination and technique much faster than a lot of other exercise equipment. You’ll also look super cool when you start doing those crossovers and double unders.